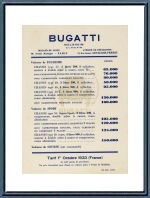 1933 Bugatti Cars Price List. 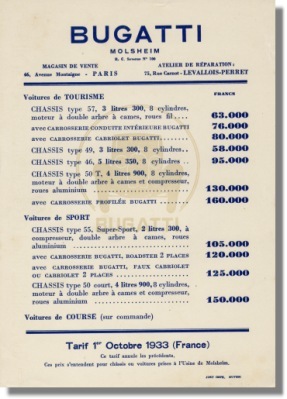 This is an original October 1933 price list for Bugatti Automobiles (applicable for France). The price list is dated October 1, 1933 and supersedes all previous price lists. A fantastic period piece in "time capsule" condition.